US president Donald Trump. Photo: Saul Loeb/ AFP/ Getty Images. The Trump campaign-linked data firm Cambridge Analytica began testing out slogans like “Drain the Swamp” and “Build the Wall” the same year Russia began its social media influence operation targeting the 2016 election. Cambridge Analytica has denied any links to Russian entities or individuals. The firm attracted scrutiny when a whistleblower said Cambridge Analytica executives met with executives of a sanctioned Russian oil producer in 2014 and 2015 to discuss politically targeting messages toward American voters. Cambridge Analytica executives were also secretly filmed boasting about how they used shadowy online propaganda tools to help Donald Trump win the 2016 US election. The London-based data firm Cambridge Analytica was testing out slogans like “Drain the Swamp” and “Build the Wall” as early as 2014, the same year Russia launched its social media influence operation targeting the 2016 US election. Those slogans would later become the bedrock of Republican nominee Donald Trump’s platform while he campaigned for the presidency. He invoked them frequently at his rallies, and his supporters often chanted them. “And a lot of these narratives, which at the time would have seemed crazy for a mainstream candidate to run on, those were the things that we were finding that there were pockets of Americans who this really appealed to,” Wylie added. Steve Bannon, the former White House chief strategist and Trump campaign CEO, sat on the data firm’s board of directors, which is largely backed by Republican megadonor Robert Mercer. Wylie said Monday that Bannon’s push for the Trump campaign to endorse far-right positions on issues like immigration and law enforcement largely stemmed from Cambridge Analytica’s research on those topics. The Trump campaign hired Bannon in the summer of 2016. Around the same time, it also tapped Cambridge Analytica to manage its data operation. A Trump aide told Wired that the firm played a “key role” in identifying political donors that helped them raise $US80 million in July 2016. “I was surprised when I saw the Trump campaign, and when it started talking about, you know, building walls or draining the swamp, and I’m remembering in my head, ‘Wait we tested this,'” Wylie told CNN. 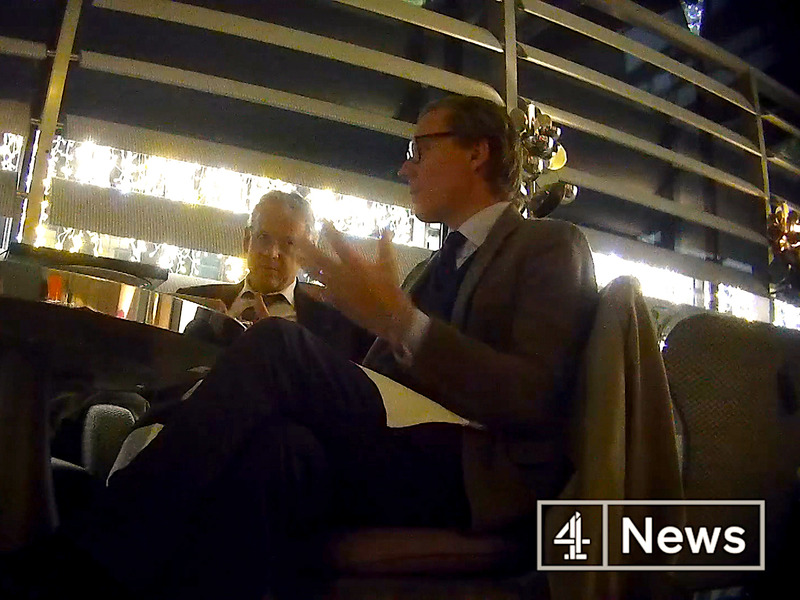 Channel 4 NewsCambridge Analytica executives described their techniques multiple times to an undercover reporter between November 2017 and January 2018. 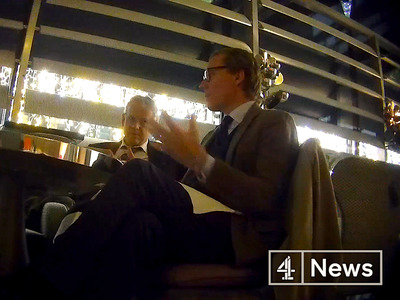 On Tuesday, UK’s Channel 4 published video footage of Cambridge Analytica executives boasting about how they used online propaganda tools to help Trump win the election. In one exchange, the firm’s CEO, Alexander Nix, told an undercover reporter that he had personally met Trump “many times” and spelled out what the firm undertook for the then-Republican candidate. “We did all the research, all the data, all the analytics, all the targeting, we ran all the digital campaign, the digital campaign, the television campaign and our data informed all the strategy,” he was filmed saying. In another conversation, Cambridge Analytica’s Chief Data Scientist Alexander Tayler argued how the firm’s work helped Trump emerge victorious. “When you think about the fact that Donald Trump lost the popular vote by three million votes but won the Electoral College vote that’s down to the data and the research,” he said. The news came following a separate Channel 4 report on Monday, in which executives talked about tactics the firm used to push out damaging material on its clients’ opponents. The firm suspended Nix as CEO on Tuesday. YouTube/The GuardianChristopher Wylie, former employee at Cambridge Analytica. Cambridge Analytica has long faced questions from investigators over its potential engagement with foreign actors, like Russia and WikiLeaks, during the 2016 election. Last year, it emerged that Congressional lawmakers were probing whether voter information that Russian hackers stole from election databases in several states made its way to the Trump campaign. Investigators are also examining whether the Trump campaign’s data firms coordinated with Russia to disseminate fake news and propaganda in particular states and districts. Cambridge Analytica’s technique of pushing information onto the internet as described by Turnbull appears to bear some similarities to Russia’s actions when it carried out a large-scale and widespread social media influence operation targeting the 2016 election. The main organisation responsible for Russia’s influence operation was the Internet Research Agency, a notorious “troll farm” based in St. Petersburg. The IRA was one of several Russia-linked entities and individuals special counsel Robert Mueller indicted in February for conspiring to interfere in the election. “Beginning as early as 2014,” the IRA “began operations to interfere with the US political system, including the 2016 US presidential election,” according to the indictment. The IRA received millions in funding from Yevgeniy Prigozhin, a Russian businessman and close ally of Russian President Vladimir Putin. The IRA registered with the Russian government as a corporate entity in July 2013, the court filing said. By the time the Trump campaign hired Cambridge Analytica in June 2016, Russia had decided to throw its support behind elevating Trump to the presidency. The IRA and the 13 Russian nationals who were indicted then began pushing out pro-Trump propaganda and fake news meant to sow discord and discourage voters from casting ballots for Trump’s opponent, Democratic nominee Hillary Clinton. But Wylie’s account of the firm’s activities appears to contradict Nix’s claim. 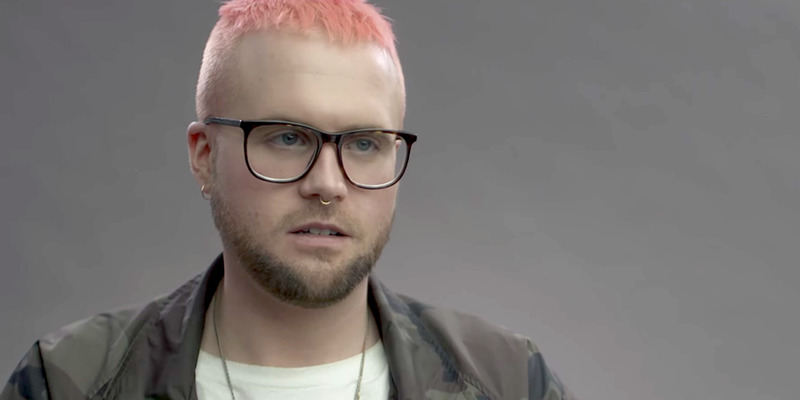 Wylie told The New York Times last weekend that the Russian oil giant Lukoil repeatedly showed an interest in how Cambridge Analytica used data to target messages toward American voters. Cambridge Analytica executives reportedly met at least three times with Lukoil executives in 2014 and 2015, around when Cambridge Analytica began testing out pro-Trump slogans and Russia’s influence campaign was in its nascent stages. According to Wylie, the meetings involved discussions of how to harvest information from social media to create politically targeted messages toward American voters. “I remember being super confused,” Wylie told The Times. He reportedly attended one of the meetings between Lukoil and Cambridge Analytica executives, which included Nix. He added that Lukoil “just didn’t seem to be interested” in how the firm’s techniques could be used commercially. Lukoil has been used as a tool of the Russian government in the past, and it was one of five major Russian oil producers the US banned when former President Barack Obama imposed sweeping sanctions on Russia in 2014 as punishment for its aggression toward neighbouring Ukraine. On Friday, Facebook announced that it had removed Cambridge Analytica from its platform after it emerged that the firm harvested the personal data of 50 million Facebook users for targeted political advertisements without their permission.